No matter if you’ve already passed your initial schooling phase in your teens or late adulthood, it is never too late to get educated. Studies show that a considerable chunk of people would like a career change of some sort, and branch off into something that they are more interested in. Sadly, that is not always possible without the correct qualifications or the know-how. Due to the nature of the modern working world, it is not always possible for everyone to take a few years out from work to fully dedicate themselves to studying, while the rent goes unpaid. Working at least part-time is a necessity for a large majority of adults in most countries and, unless you are able to balance working and studying simultaneously, then chances are you won’t be able to indulge in the sweet enriching world of education. Before you give up completely, you should at least check out the different schedules available, and get familiarized with the different timetables available to see if you could make it work somehow. Always wanted to become a doctor? Go ahead and check the medical school tuition fees, and see if it is something that you could feasibly get invested in. Feel like programming is something which you would like to do as a career? Go and see if you can find local computer science courses. The sky’s the limit, so get out there and start planning your future in a field that you are truly passionate about. If getting involved in any sort of long-term education is a big red flag for you, then there are always shorter courses which still provide you with industry standard qualifications in various fields but take considerably less time to complete. Whether you want to learn how to play the guitar or find out how to publish books, there will be a course out there which will catch your eye. A somewhat popular series of courses are provided by companies certified by Adobe themselves, which run training courses in the Adobe Creative Suite which can result in you getting the title of a “Adobe Certified Associate”. Not only does it sound prestigious, but it is just as useful as it sounds. Depending on what you are interested in, you can pick up some certificates for any program in the suite that is relevant to your interests. Whether you want to create websites with Adobe Dreamweaver or logos and illustrations with Adobe Illustrator, courses as short as one week could get you on the right path to becoming a full-fledged professional somewhere down the line. It is never too late to start some type of further education. Gather information on your program, study hard, and reach for the stars! When you think back on your life, achievements that can really change your circumstances are some of the most important changes you can make. If you feel that you have more to give and would like to go back to college or start studying again, you can make it happen. With work and family commitments, many people write it off as a pipe dream. But with today’s flexible educations styles and virtual platforms, it doesn’t have to be a choice – you can fit your continuing education goals into your life. 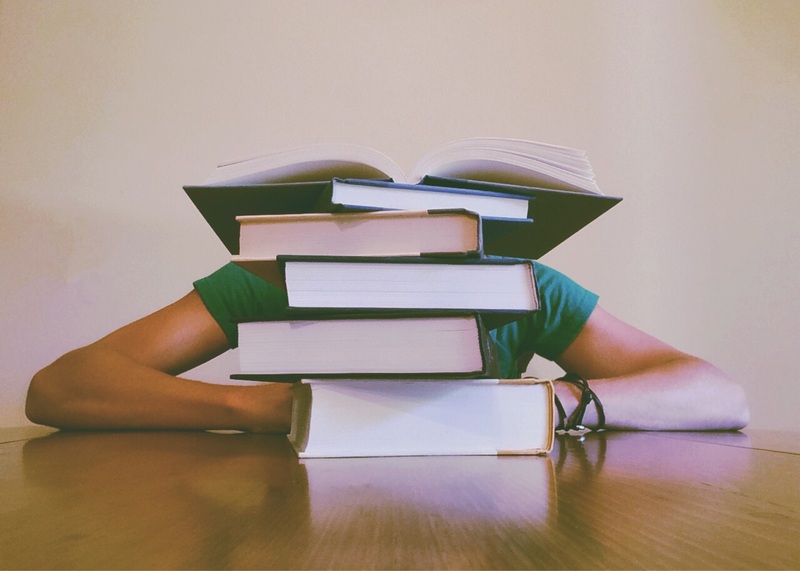 Studying for a degree while also having a career, especially if you work irregular hours, can certainly be a challenge, but putting a little thought into your approach can make it work. Choosing the right program for you is much more of a considered decision when it needs to fit around your life, so make sure that you do plenty of research to find the right provider for your individual needs. If you have existing college credits, some programs will take that into account, allowing you to graduate faster. If you don’t have the capacity to travel, a degree delivered via online learning is a good choice. Hundreds of universities now offer bachelor and graduate degrees in subjects like public administration, criminal justice, and management skills. Or if you feel you want some in-person contact, try a hybrid degree that combines online with sessions of traditional classroom learning across evenings and weekends. Studying can be a big time commitment, so the key to making it work alongside a job and a busy life is being strict on scheduling. Plan all your classes and study hours alongside household commitments, working hours, and time to spend with family and friends – all of these areas are important. Don’t be afraid to ask for help from family members to collect kids from school, prepare meals, or help around the house. You have to be organized to make all these elements work together so plan in advance and batch-make meals to fill up the freezer. If work commitments get intense, don’t be afraid to speak to your degree supervisor about adjusting your study plan to avoid conflicts if necessary. Take full advantage of any study resources offered, as well. Most places have academic centers to help make your study skills better. Also be sure to use study groups to connect with fellow students and share tips and coping strategies. Make sure that you have a quiet space to study when it comes time, and don’t allow outside distractions to pull you off course. The trick is to give 100% to whatever you’re doing at that time, and try to shut the rest out. It’s never too late to begin a new career, and with constant advances in classroom technology, there is no time like the present to start! The initial decision to forgo post-secondary education does not have to spell doom for your aspirations in the long term. Of course, having a day job, family, and other obligations makes it hard for people to fit college into the picture. However, where there is a will, there is certainly a way. Do not let anything weigh you down and inhibit your dreams. You are not alone, either, as an increasing number of people are giving academic life another chance. No matter what stage of life you are in do not rule out school just yet: Education has no expiration date. Fear and uncertainty are perhaps two of the most common factors that hold people back. Yes, studying is a huge commitment, but it does not matter that you didn’t start right away. It is much better to make your way to the finish line late than never. Moreover, being an independent adult can have its advantages. In all likelihood, you are in a better position to bear the financial burden of education and fund the studies. It might be possible to even entice your employer to cover the costs. The list of reasons to go to the party late goes on. Nowadays, with advances in modern technology, you have more options than ever before. A vast ocean of information and education resources lies right at your fingertips. You have a chance to take advantage of online lessons, tutorials, and courses. Even prime, world-renowned universities offer such opportunities to people across the globe. If classes online or in person make you nervous, you can also always hire a private tutor to play it safe and sound. Furthermore, many successful professionals have that sense of reaching a point where just focusing on the career does not cut it. After all, college graduates tend to have a higher income and access to better career opportunities compared to those without a degree. Most employers seek individuals who are well-qualified and possess expertise in a certain field. What is more, the pay gap is only getting bigger and bigger. Getting into college is also a great way to expand your skill list. Critical thinking, analytical capability, problem-solving, community service – all of which look amazing on your resume. These skills enable you to set yourself apart from the crowd in the job market, land a promotion, and get a foot in the door. It also helps that you network with colleagues and professors. Thus, with a degree, older workers find it much easier to compete with the ambitions of a digital generation. But, greater financial stability is not the only reason to consider school. Namely, years of intensive learning and research are no cakewalk, but studying can be a pleasurable and fulfilling experience. You are also able to gain a sense of self-validation and actualization as you meet loads of new people and soak in new ideas and knowledge. Your brain enters full-swing mode and you feel the inner curiosity being awakened. It is (Almost!) always preferable to give school the old college try than to deal with constantly feeling like you’re missing out. Furthering your education could be the driving force behind a positive change. So, if you feel higher education is right for you, show initiative and perseverance and do not shy away from taking the plunge. Pave your own path to success and do not just let the chips fall where they may. Improve your employability and advance up the career ladder quicker. As you embark on the journey of self-empowerment and personal growth, you will witness the benefits spilling over to all areas of life. As someone who went to college later, I can testify to all of the above. But, of course, college is not always right for everyone – and that’s okay!! The option is there, and it is up to you to see how it fits (or doesn’t) in your lifestyle. Sorry people, we hate to break it to you, but you’re broke. Maybe not totally broke, but you’re not exactly flush for cash and, as such, you’re going to spend more time than you’d like counting pennies and familiarizing yourself with the less quality toilet paper. To avoid financial problems later on down the line, create a budget. It’s simple: after rent, and other important things have been subtracted, divide all of the money that you have by the number of months it needs to last. Then, do as Charles Dickens did and use only the amount of money you’re able to spend every day. Easy-ish! Now, let’s see. You have classes, assignments, activities, social groups, sports games, and TV shows to catch up on. Sounds like a lot, doesn’t it? That’s because it is. You won’t be able to do everything unless you’re taking steps to make sure that your body can handle it. Keep a can of Monster Energy nearby during studying and classes to be at your peak level of focus. Learn how to say no to social invitations and, if you’re going to skip anything, then make it the sports game, not class! You’ve emerged as a beautiful butterfly on campus, but remember those days when you were just a caterpillar? That world still exists, and you’d be foolish to turn your back on it just because you have new and exciting things to occupy your time with. Your friends and family back home will continue to be the best support network you have, even if they’re hundreds of miles away. Try to visit as often as you can, and make sure that not too much time is passing in between phone calls. It sounds like a cliche, but there will never be a better opportunity to try as many new things as you wish in college. See something that you’re even vaguely interested in? Try it. What’s the worst that can happen? A half hour wasted at a club which you thought would be fascinating? You might just stumble upon something you love. There’s a lot of pressure and anxiety present in first-year students, but if we could plead with you to do just one thing, it would be: don’t worry so much. Remember that no one really knows what they’re doing, so act like you have confidence and hey, you probably will! Now have fun! Freshman year at college can be a blast, if you let it be. Of course, keep your grades up and study hard – but you have a whole new world to explore on campus. Now get to it! While everyone is talking about the basic checklist for your first year in college, they seem to forget that we need it even more by our final year. The first-year students always seem to have their first year on campus soundly figured out. The rest of us, on the other hand, face a turbulent time of final exams and the prospects of unemployment. Some of us have the untimely habit of starting off with great energy before slacking off as we approach the finish line. The final year of college is no exception to this, and those who manage to keep their motivation up may be able to graduate with excellent grades – or at least mediocre ones. While you may be focusing on the job market at the moment and thinking more about the future than the present, in general, you need to manage the balancing act of keeping one foot on both sides. Check out forbes.com, as well, for some tips on landing your dream job. Sure, it’s vital that you research the market and figure out the kind of company that you’d like to work for. BUT – college isn’t over yet. Keep the good habits up, focus on achieving, and remember that you don’t have to plan every detail of your future quite yet. At some point, it will inevitably strike you that you’re done with college in nine or ten months. What now? Depending on your field of study, the final year is usually laid out for you to land a relevant job as soon as possible. Take advantage of the offers and guidance on campus, attend those seminars, and work on expanding your network. When graduation is over with, you’ll be happy to have as many contacts as possible. Feeling slightly stressed about the future is perfectly normal, by the way, so remember that you’re not alone in all of this. We’re all wondering where to go next and questioning yourself too much will only make you feel overwhelmed and unable to focus on your studies. If you forget to take care of yourself this year, you’re not going to perform as well as you had hoped. An amount of exams, assignments, questions from family members on what your next plan is, and whether or not you’re going to marry your SO after graduation, will lead to stress. This again leads to sleepless nights, binge-eating, and hiding from the world with Netflix and your pajamas, wishing you were just out of high school again when everyone expected you to mess up. It’s alright; we all have it like this, and the best thing that you can do is to keep balance. Wake up at the same time every morning, keep a healthy lifestyle, and swap out that old mattress once and for all by having a look at mattress.review. It will help you through those sleepless nights so that you can wake up refreshed and ready to tackle the next exam. You don’t have to have it all figured out by graduation, and it’s impossible to say what your life will look like in a few years. Maybe you get married, move to another country, or decide to raise a bunch of children rather than focusing on your career – it’s nothing to worry about right now. Think about your exams, plan for success, and the rest will come as it should.